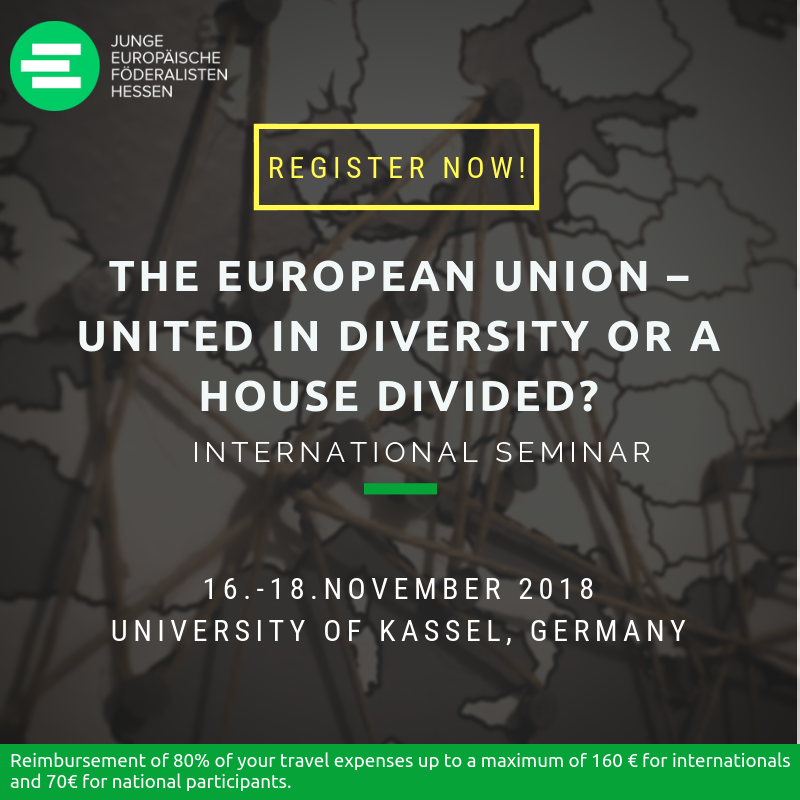 International seminar: The European Union – United in diversity or a house divided? The European project is based on the premise that there are more things that unite us than things that set us apart. It is based on the conviction that – despite our differences – we as Europeans are bound together by common values and share a common destiny. According to this narrative, our diversity is not a weakness – it’s a strength. Up to now, the history of European integration has indeed been quite a success story with the community growing from 6 founding members to now 28 members. But today, 71 years after the signing of the Treaty of Rome, the European Union is arguably in its greatest crises of its history. Its very existence, it seems, hangs in the balance. The attempts of European leaders to contain the repercussions of the economic and financial crisis have not – as one might have hoped – evoked a new sense of solidarity among Europeans. Quite to the contrary, the measures have led to new animosities between the people of North and South Europe. The migration issue has created new fault lines in Europe, particularly between the Western and Eastern member states. Worst of all, some countries, notably Poland and Hungary, have entered a trajectory away from democracy and the rule of law and towards authoritarianism, calling into question the very foundations of the European Union. These developments raise fundamental questions about the future of Europe: Do we actually have a common understanding of what our European values are and which humanitarian responsibility we have in the world? Are we ready to show financial solidarity across Europe? Do we have a European identity? In short: Will we be able to bridge our differences, overcome the current challenges and emerge from the crises strengthened and more united than before? Or will the centrifugal forces inevitably rip the European Union apart? These are the questions we want to discuss during the seminar. We would be delighted if you were to be a part of this discussion. If we have piqued your interest, register right away and invite your friends – wherever in Europe they may live. Who can participate? All young people between the ages of 14 and 35 interested in European topics are cordially invited to register! Do you want to become a member of JEF Hessen? Hier kannst Du ganz einfach online einen Aufnahmeantrag stellen. If you are an international participant (i.e. you are not living in Germany) we will reimburse 80% of your travel expenses up to a maximum of 160 €. If you are a national participant (i.e. you are living in Germany) we will reimburse 80% of your travel expenses up to a maximum of 70 €. Do you have a question or would like to be reminded about the registration deadline so that you don't miss it? Here you can send us a message. Alternatively, you can call us on +4969 – 34 87 80 81. Please remind me via email about the registration deadline. Please note: This is not the registration form. You can find the registration form below. Thanks a lot for your interest in this event! 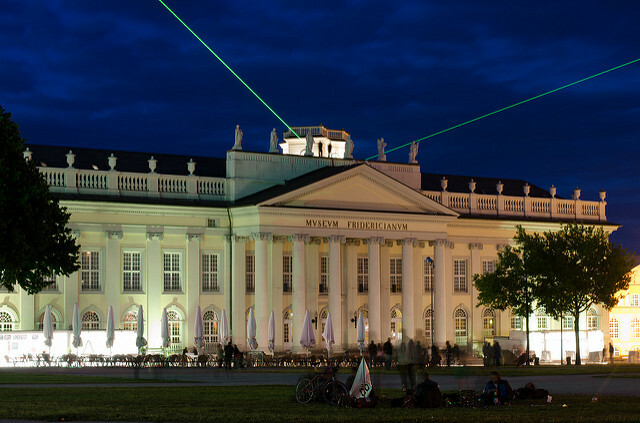 We are very much looking forward to spending time with you in Kassel! We want to draw your attention to our participation conditions to which you agree with your registration. With the registration for the event participants agree to taking part in the whole programme of the event (Friday, 16.11.2018, 06 pm to Sunday, 18.11.2018, 02 pm) and to paying the participation fee. The organizers may verify the presence of participants through attendance lists. Participants agree to following the instructions of the organizers during the event. In the case of gross misconduct, the organizers (JEF Hessen and Europa-Union Kassel) reserve the right to exclude a participant from the event. Minors need the signed permission of their legal guardians to take part in the event. How old will you be at the start of the event? How did you learn about the event (optional)? I am one of the organizers. For Germans: Ich möchte die Rundmails der JEF Hessen erhalten. Wenn Du unsere Rundmails abonnierst, bist Du immer auf dem Laufenden über unsere Aktivitäten und erhältst Einladungen zu spannenden Veranstaltungen wie z.B. unseren nationalen und internationalen Seminaren. After clicking on the button "Register" you should see a confirmation message. If you don't, please make sure you have filled out all fields of the form! Dieser Beitrag wurde von Marcel von Collani am 16. November 2018 veröffentlicht.